This used 2018 Chevrolet Express Cargo Van in South Portland, ME comes with peace of mind. This van is only one year old! You get all this in the 2018 Chevrolet Express Cargo Van for $24,995. The 2018 Chevrolet Express Cargo Van only has 21,349 miles on it and many more roads to travel. It’s a v6 White van that helps finish the job. Want to learn more about this 2018 Chevrolet Express Cargo Van? Contact Pape Chevrolet. This used 2015 Chevrolet City Express Cargo Van in South Portland, ME comes with peace of mind. It might have a little more than a few years on it, but it still drives like it is new. 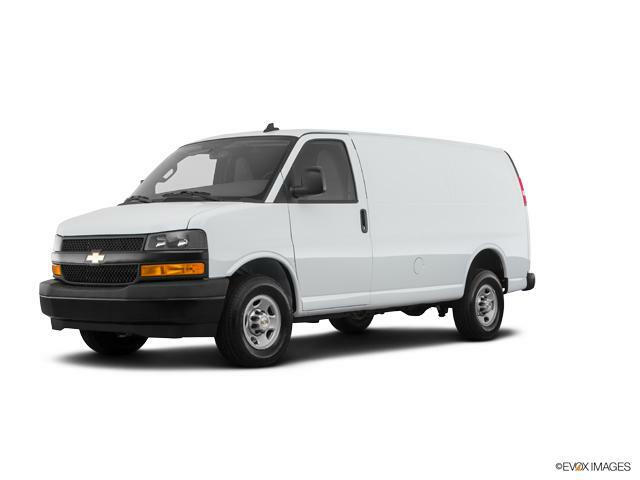 You can get the 2015 Chevrolet City Express Cargo Van for $14,995. With only 43,583 miles on it, it's still ready to explore more open roads. It's a v4 Black van that can get the job done. Drive to Pape Chevrolet and test drive the 2015 Chevrolet City Express Cargo Van.